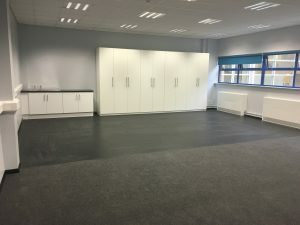 If you have a school project coming up in Barnet, Edgware, East Finchley or Brent Cross and the surrounding areas – consider The School Renovation Company as your primary contractor. We have worked on various school renovation projects over the years and know exactly what it takes to make a project work. Whether you’re thinking of renovating the library, decorating classrooms or hall area, we will do our very best to work within the typically limited timeframe and cause minimal disturbance. Not only do we provide some of the most affordable rates you’ll find, but never compromise on quality and only source the very best materials available to us. Our team can help with everything for plumbing and electrics, to carpentry and decorating.